Trick to Get Rs. 250 Voucher from Shopclues Matchmaker Game :- hello Guyz i hope you are enjoying free Recharge tricks and loot tricks . 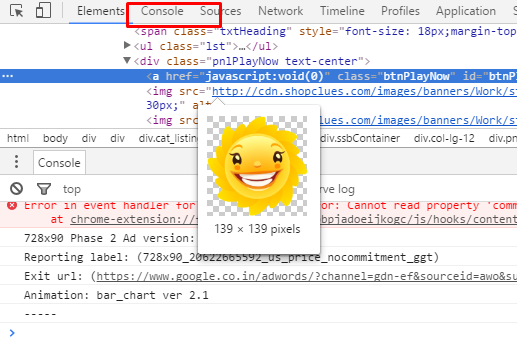 we are here posting a new trick to get Free Shopclues vouchers using Inspect Elements in Chrome Browser By inserting a Function you can Skip the game till last level and you will get your voucher to your inbox directly on 15th March . So follow below steps to get The voucher for free . 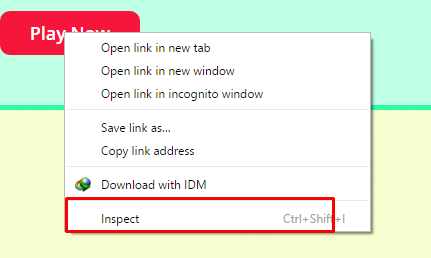 Step 2: Now Right Click anywhere to Your Chrome Browser and Click on “Inspect“. 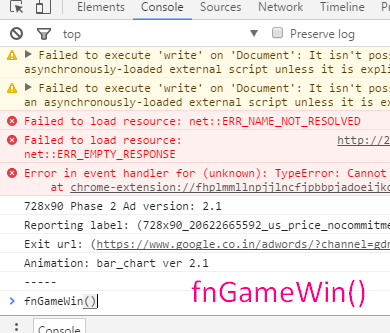 Step 4 : Now Click on Play Now Button on game Screen , After Clicking Play now Instantly type fnGameWin() and Then press Enter .The level will be Skipped after pressing enter . Step 5: Do this process again and Again until all Level Completes . After Following This trick you will be able to get Coupon worth rs.250 on 500. it will be deliver to your email id on 15th march.